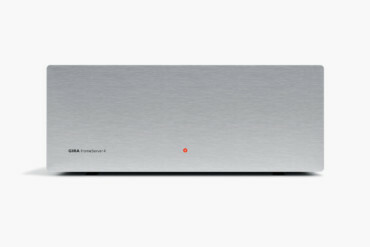 With the Gira Home Server as the in-house computer, the lights, entertainment electronics, blinds and heating can all be controlled centrally. Updating a 1950s build is a tough task, and was the challenged faced by architect Eugen Bialon, the designer Nico Ueberholz and a private developer. 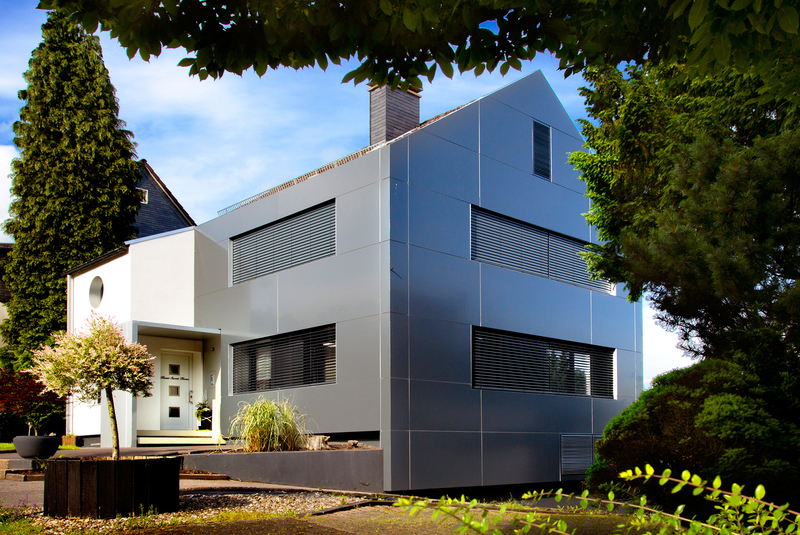 The house was modernized throughout and on the outside clad in anthracite-colored Alucobond. All disturbing details such as the gutters, drain pipes and even the eaves have been elegantly hidden behind this curtain wall. 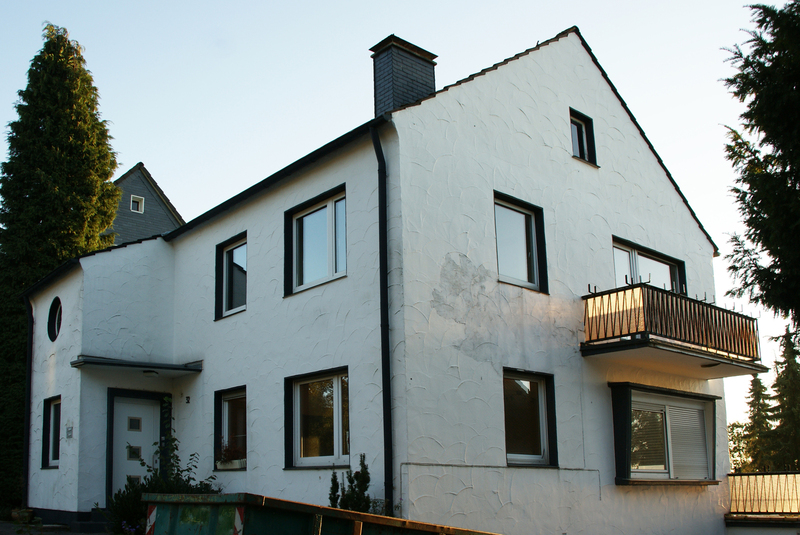 The result is an extremely smooth outer surface with clear lines that give the old building an almost futurist look. The indirect illumination of the facade is destined to intensify this impression. 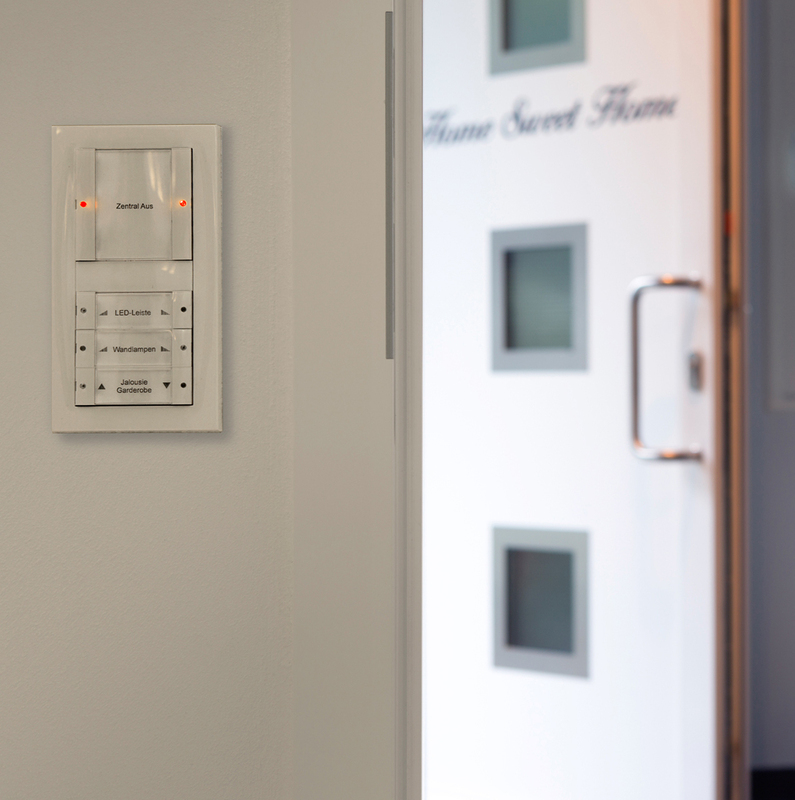 On the inside, Bialon and Ueberholz delved deep into the troves of Smart Home functions: All the elements of the house technology are interconnected by a KNX system. 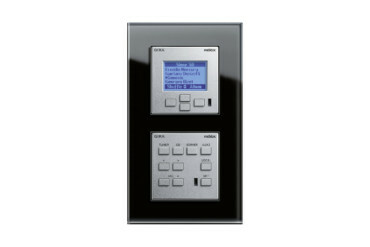 Using the Gira Home Server as a central computer enables the lights, entertainment electronics, blinds and heating to be controlled in all rooms of the 260-square-meter large house. 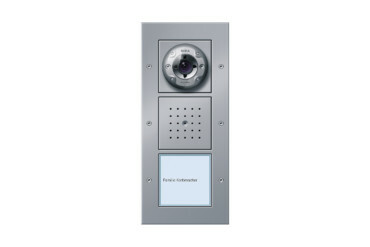 Moreover, individual programs can be pre-set that can be activated manually by the press of a button or using timer switched programs. The 1950s building has been completely modernized. The outside is clad in anthracite-colored Alucobond. 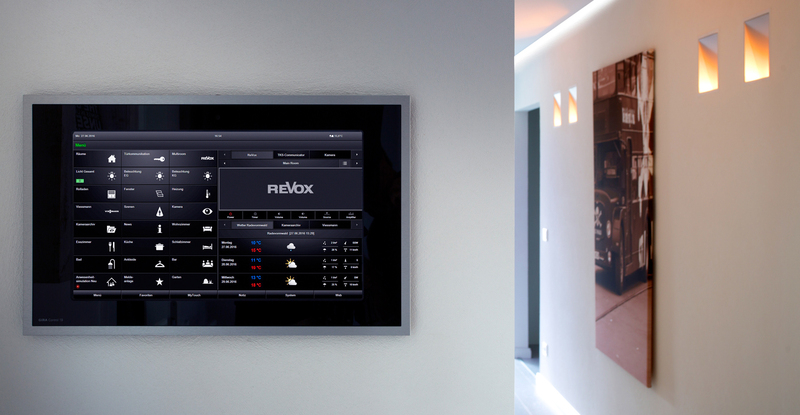 All the elements of the house technology are interconnected using a KNX system and can be easily controlled using the panels. 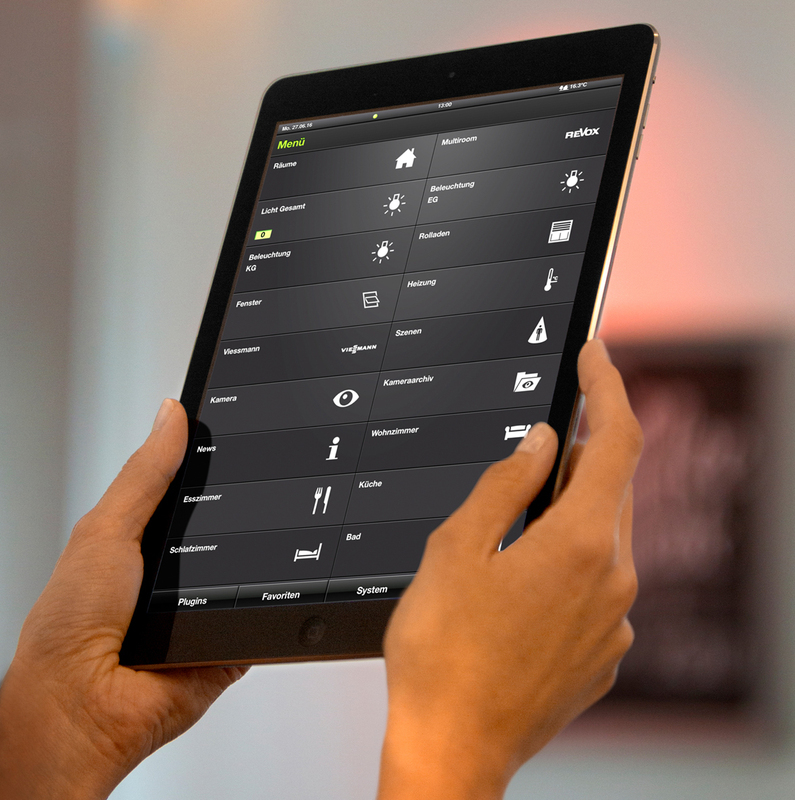 In addition to being able to control all functions using the fields on the Gira Control 19 Client all processes can be monitored by Smartphone or tablet PC. 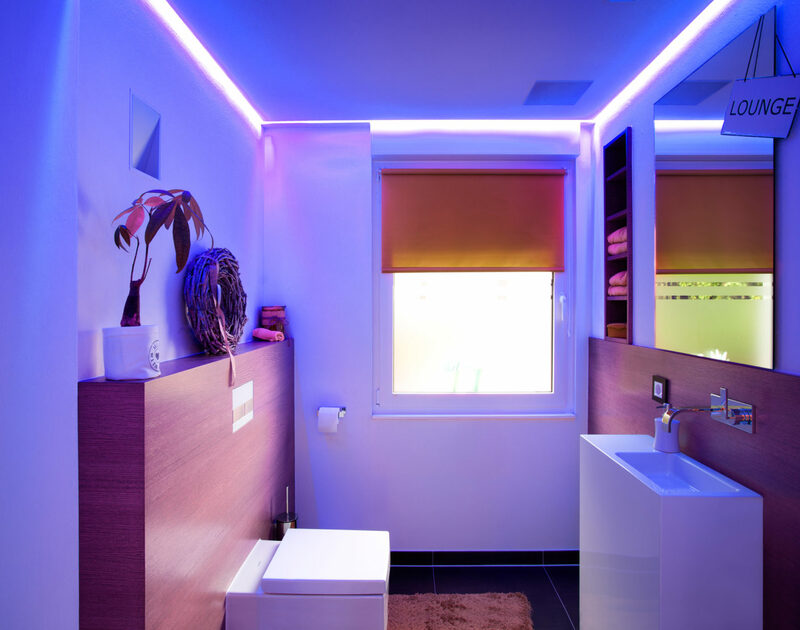 To top it all, the developers had colored LED luminaires installed in the bathroom, for example, so that the light mood can be changed there.